This dug-borewell # PW158BRG1 is in Bargoriya village of Swarupnagar block of North 24 Parganas district. Jiauddin Mondol donated the site for the community. Health meeting has been finished. M-7, F-17, Ch-5. 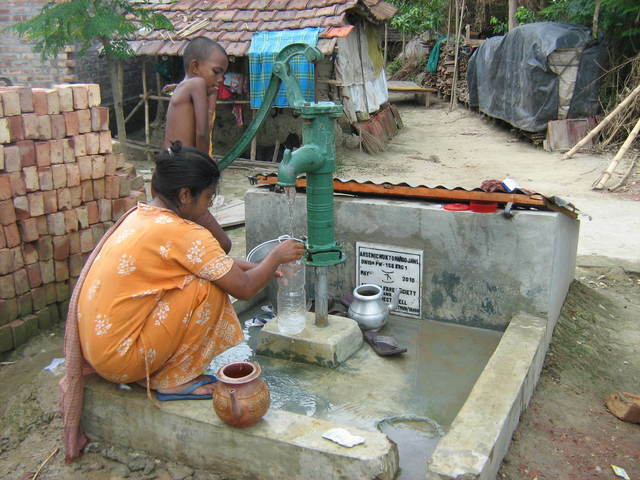 This well is used by 8 families.35 people.water 14 ft 5 inch. 200 ml theoline was given.good water used for drinking and cooking. This well is used by 10 families. 41 people. good water. used for drinking and cooking. water 15 ft.
5 to 6 family use this water but there is iron in water so now they want to use mawtka filter that contains charcoal candle and removes the iron and anykind of odor. The cost of the mawtka filter including delivery charge is Rs.150. There were unhygienic conditions surrounding the well, bad drainage (frog pond) It looked uncared for although there were several people using it while we were there. The water quality was good, but currently only 5-6 families use it for drinking and cooking. Several others use it for washing and cleaning. We interviewed some of the children, but none of the adults wanted to be interviewed. The construction is just completed. The picture is uploaded. The arsenic test and application of the disinfectant are due. The community will be trained to apply the disinfectant and field workers will visit the bore-dugwell for two years or until the user community feels confident to take the responsibility of the bore-dugwell. According to the register record of July 2011 the total consumers=44; Families=10; Male=25, Female=19, children <5 = 1 and students =15. Nobody uses this source yet. Awareness program is needed to inform the community how in other areas people have started using the well water. 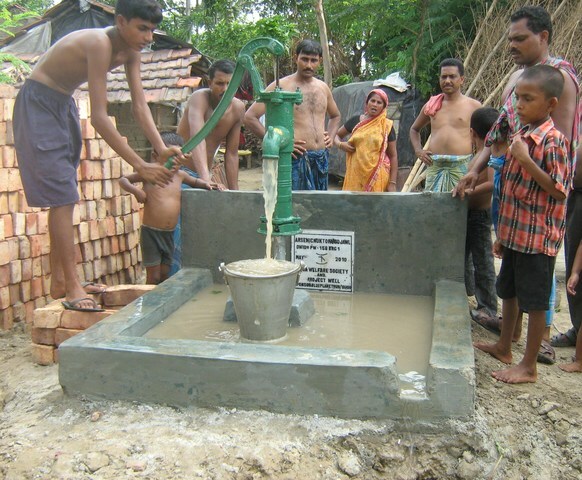 Registers will be created as soon as the community starts using the water from this bore-dugwell.